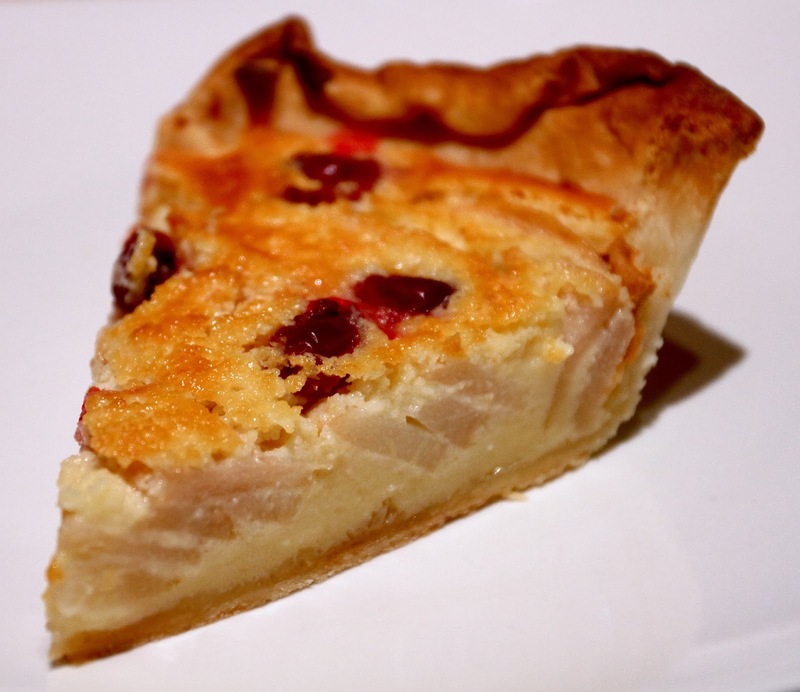 Let's try and make something other than the traditional apple pie, and venture to a delicious and sweet pear, cranberry, and yoghurt pie you can make easily. Start by preheating your oven to 225 C (435 F). 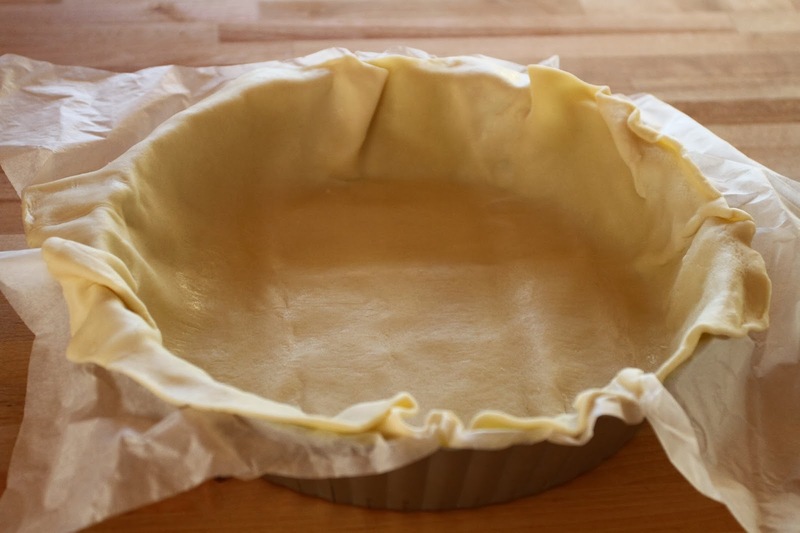 Cover your deep-dish pie pan with parchment paper and lay your shortcut pastry on it. Add another sheet of parchment paper over the shortcrust pastry and add weight on it. In my case I used some baking ceramic pie weights, but you can also used dried beans. Once your oven is preheated, place the shortcrust pastry in it for about 20 minutes. After 20 minutes, remove from the oven and let it cool. Reduce your oven temperature to 175 C (350 F). While your pastry is cooling down, prepare your pie filling. In a bowl, combine the eggs and the sugar and whisk until you obtain a frothy mix as shown below. Then add the flour and mix gently. In a separate bowl, add the vanilla extract to the plain yoghurt, and mix. Add the vanilla-yoghurt mixture to the egg-sugar-flour mixture and mix together. Once the shortcrust pastry has cooled down, add the filling. Slice the pears into thin slices. Place the slices in the filling, all in the same direction. Be sure to not over-crowd the pear slices. Distribute the cranberries on the top. Place the pie in the oven for about 40 minutes. After 40 minutes, increase your oven temperature to 200 C (390 F), and let the pie bake for another 5 to 10 minutes, or until the color of the filling becomes golden. For the last baking part, keep your eyes on the pie. Remove the pie from the oven and let it cool down. You can eat your pie either cold or luke warm. I'm usually not a big fan of pies, but this yogurt pie looks absolutely divine. We still have lots of winter pears in the grocery stores around here, so I'm going to give this a try!